Known as "face of noir", Dana Andrew's signature role included the obsessed detective in "Laura." This collection contains his guest appearances in various broadcasts and his star role as Matt Cvetic in "I Was a Communist for the FBI." Dana Andrew's biography (written by James McKay), is appropriately subtitled "The Face of Noir." 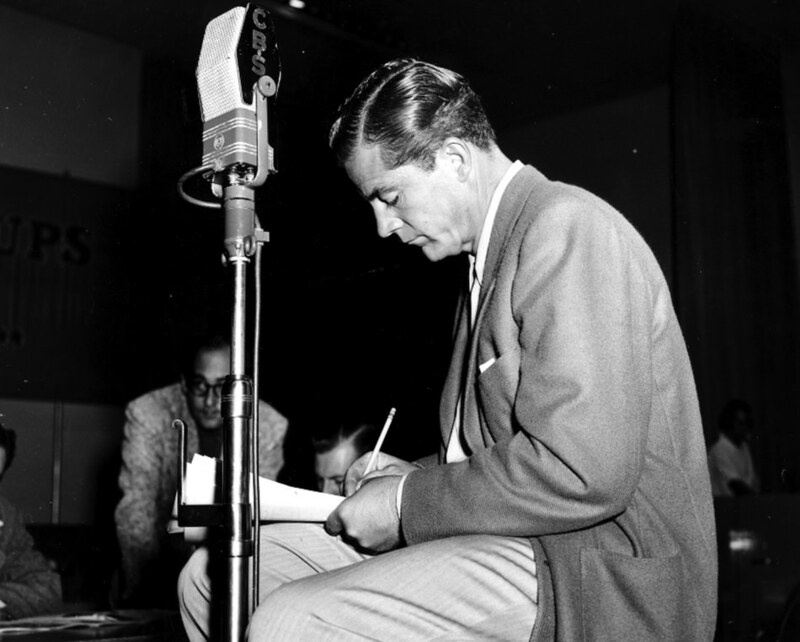 He was a presence not only in Film Noir, but also in "Radio Noir". 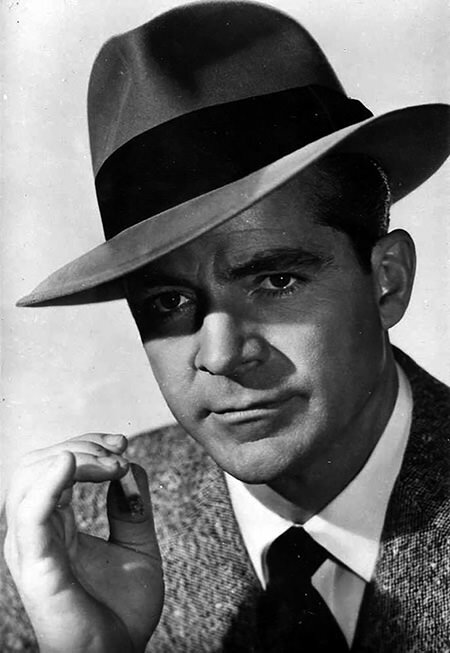 "Carver Dana Andrews" was born the third of nine children to a Baptist minister. As a young man Andrew's traveled to Los Angeles to seek his fortune as a singer, in 1931. Success was slow in finding him; he spent the next nine years working various jobs while taking studying opera and acting lessons. In 1940 he was offered a contract with Sam Goldwyn. His early movie roles included The Westerner (1940) with Gary Cooper, as a gangster in the comedy Ball of Fire (1941), and as a lynching victim in The Ox-Bow Incident (1943) with Henry Fonda. Through the 1950's Andrews was relegated to mostly B-Grade films as alcoholism took a toll on his life and career. At this time he was finding more and more radio work. He would make several appearances on Suspense! as well as The Screen Director's Playhouse and The Lux Radio Theater. His last appearance on theThe Lux Radio Theater would be the Feb 2, 55, version of "The War of the Worlds." Andrews was the star of the very dark Cold War drama, I Was a Communist for the F.B.I. for over 70 episodes. Andrews was finally able to get his alcoholism under control. He credits the example of former actor Ronald Reagan's discipline as an inspiration. In 1963 Andrews was elected as president of the Screen Actors Guild. In the 1960 film, The Crowded Sky, Andrews play a pilot whose large passenger airliner is crashed into by a military jet flown by Efrem Zimbalist Jr's character. Fifteen years later Zimbalist is flying a 747 that collides with a private plane flown by Andrews after he has a heart attack. Volume 2-3: I Was a Communist for the FBI of this collection is the series is the series, I Was A Communist for the FBI, in which Andrews plays the star role of FBI informant, Matt Cvetic. 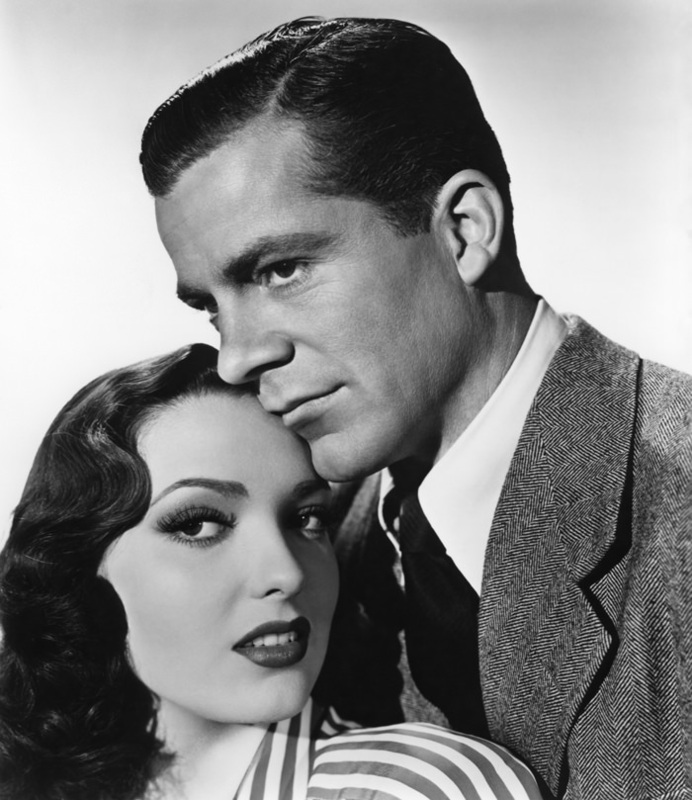 Be the first to comment on "Dana Andrews"